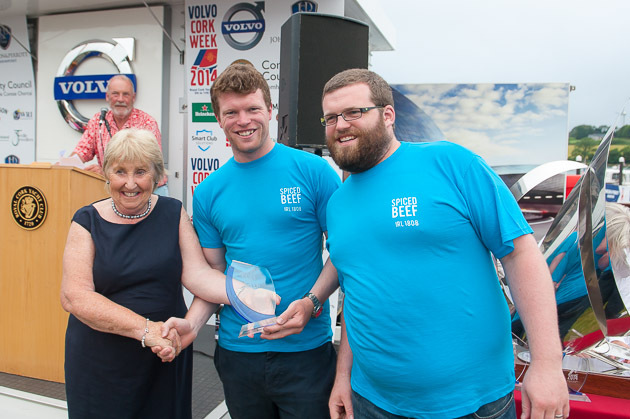 Volvo Cork Week Done and Dusted! 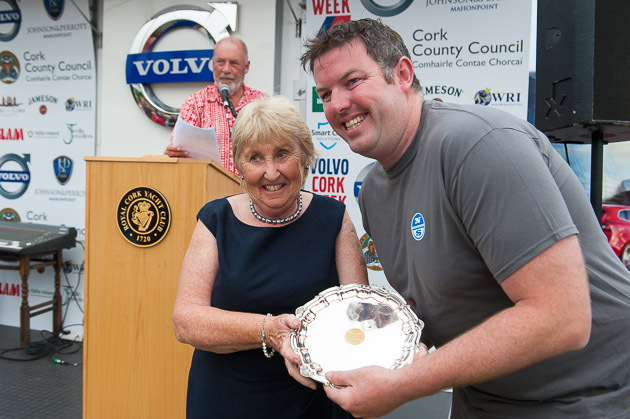 Volvo Cork Week is over for another two years and a very enthusiastic gathering took place this evening at the Royal Cork Yacht Club for the presentation of the prizes and trophies. 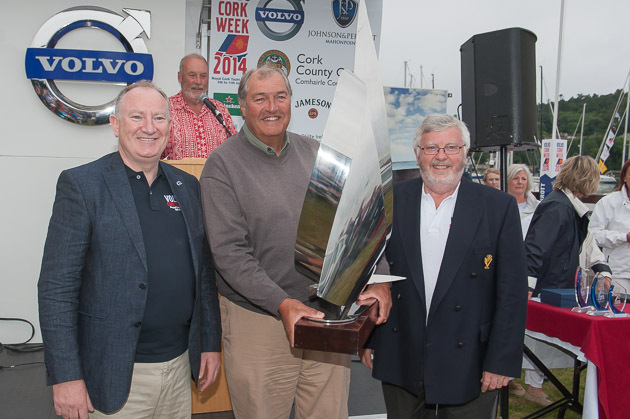 Master of Ceremonies for the night was Chair of Volvo Cork Week and RCYC Vice Admiral John Roche. 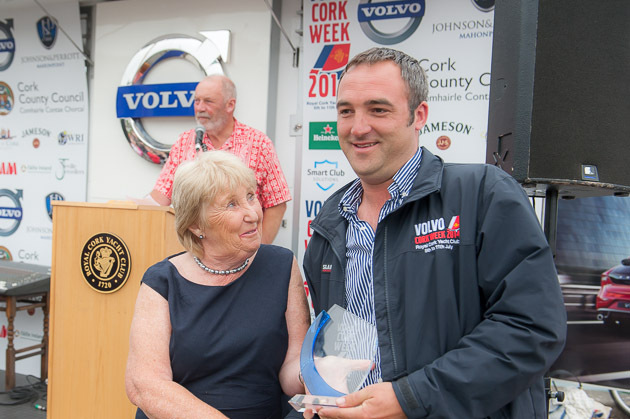 Adrian Yeates, Managing Director Volvo Car Ireland spoke of their satisfaction with the event and the excellent competition and general good week enjoyed by all the competitors. 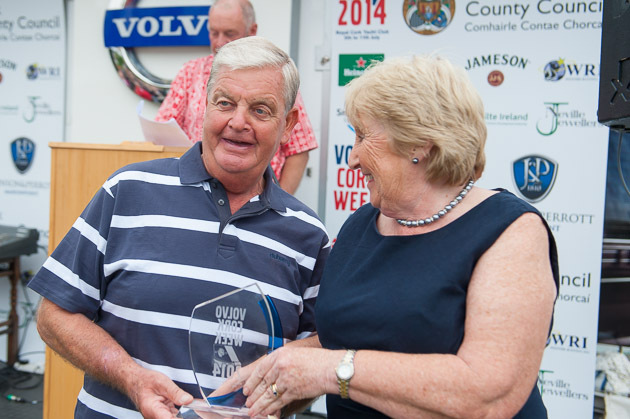 He was followed by Admiral Pat Lyons who expressed the great satisfaction felt by the club at the excellent week enjoyed by all the visitors and local sailors alike. 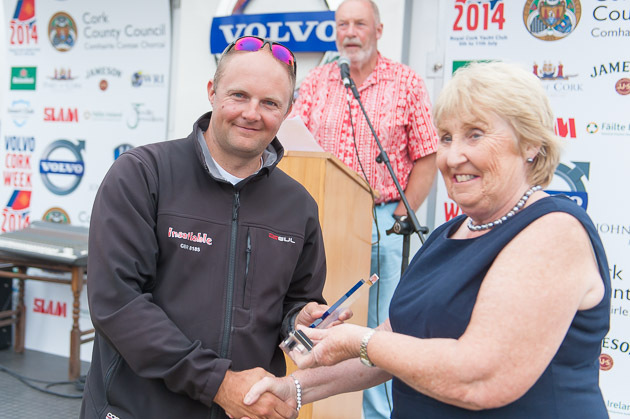 He then recited a piece of poetry and I hope I have recollected this correctly: In life there are big ships and small ships but the best ship of all is friendship.” Then it was time for the presentation of prizes and trophies. 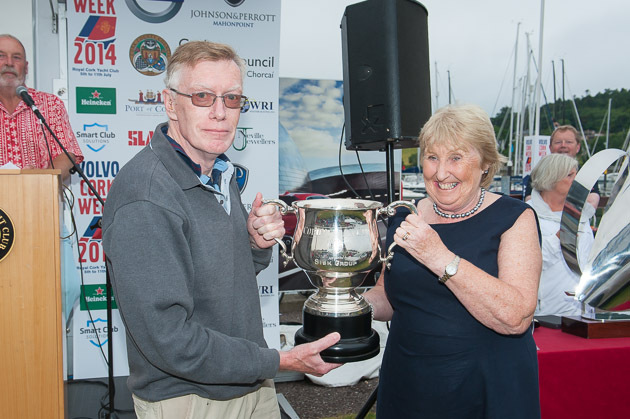 Eddie English announced all the winners who received great applause and the prizes were presented by the Lady Admiral Ann Lyons. 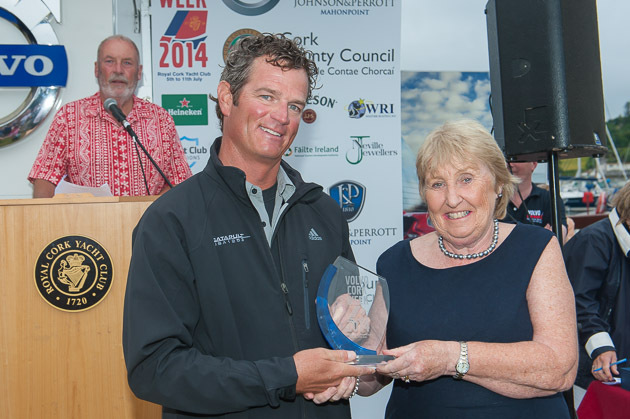 The big winner of the event, Michael Boyd and Niall Dowling’s Quokka, took first place in IRC 2, winner of the Hugh Coveney Cup as champion of the Harbour Race in which the entire fleet competed and also won the Kinsale Kettle for best overall performance as yacht of the week. The Prix d’Elegance for the most elegant yacht present at the regatta was awarded to Richard Matthews’ magnificent 125ft. 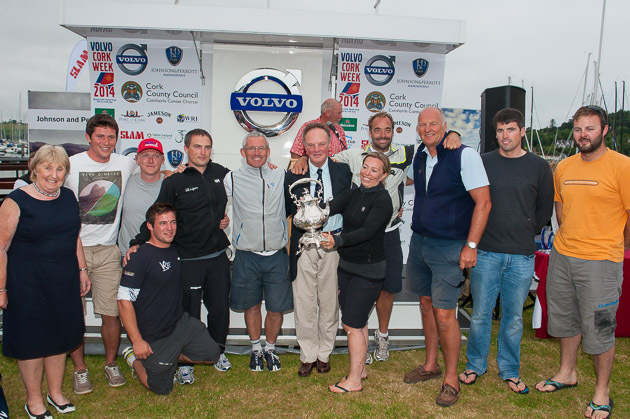 Twilight while the Sisk Corinthian Cup for the most successful yacht with an entire crew of Category One sailors was presented to Tom McNeice in his Sigma 33 Minx. 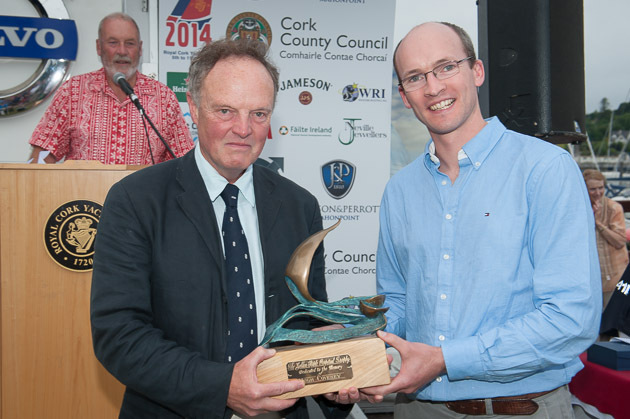 The trophy representing the best spirit of the event was awarded to David Wilkins in Goose Pimples. 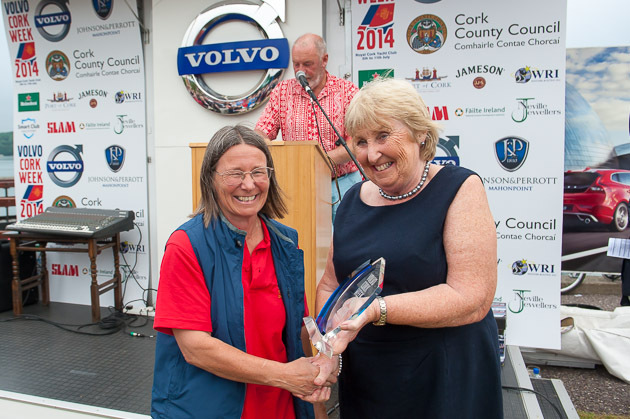 2 Responses to Volvo Cork Week Done and Dusted!